This site is best viewed with Internet Explorer or Netscape Navigator with resolution at least 800x600. The World's First And Only Truly Universal Socket That Will Accept Power Plugs From Just About Any Country. SOCKETPLUS is ideal for hotel rooms to accommodate international business travelers with notebook computers. SOCKETPLUS will accept the plugs of most countries including United Kingdom, Australia, New Zealand, China, India, South Africa, and has provision for the ground pin as well. The openings are shaped to receive flat, round and square pins regardless of their configurations. Please note: This product is not a voltage converter. SOCKETPLUS is equipped with a pilot lamp and a built-in terminal block to receive your own wiring cable. We can supply it with the appropriate power cord & plug to suit your socket configuration. For North American hotels, it can be equipped with an A.L.C.I. 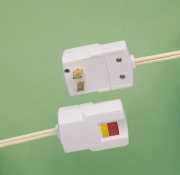 (Appliance Leakage Circuit Interrupter) plug and cord for added safety at a nominal extra cost. It can be fitted inside our VALUE$AFE electronic safes for overnight charging of laptop computer. 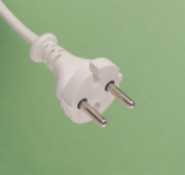 It can be installed on the writing desk as a power supply point for your international guests. It can be finished in a wooden look to blend with your furniture decor.